Serene shot of part of hotel from the ocean. Warwick Hotels and Resorts – Pacific adds new honors to its portfolio with three properties earning awards in the TripAdvisor Travellers Choice Awards for 2019. These are the highest awards that the global review platform can bestow on a business. 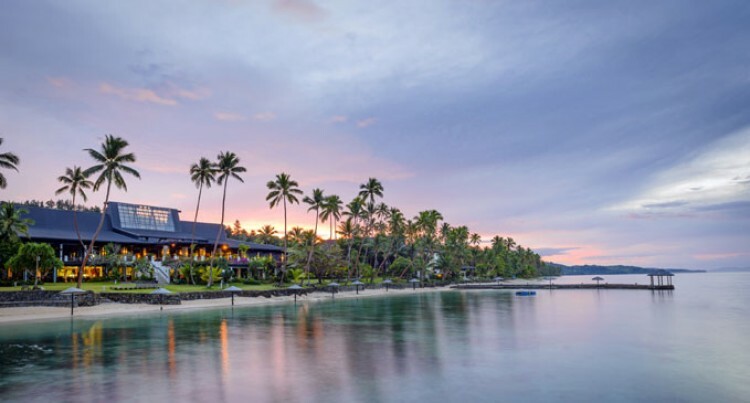 Warwick Fiji and The Naviti Resort, located on the Coral Coast of Fiji, alongside Warwick Ibah – Bali, Indonesia, all received the coveted accolade. The properties in Fiji received recognition for excellence as a Top Family Resort. Warwick Fiji ranked 4th out of 10 in Fiji and 14th out of 25 in the South Pacific, while The Naviti Resort ranked 8th in Fiji and 24th in the South Pacific. Both properties consistently achieve outstanding reviews as a family resort. Also making its mark in the region is the Warwick Ibah in Bali, Indonesia with three recognitions for their exceptional service; they ranked 7th out 25 for Romance, 16th out of 25 for Service and 19th out of 25 for Small Hotels. “It is a privilege to welcome guests and families from all over the world to our resorts,” Warwick Hotels and Resorts Area General Manager Tim Bathke said. “Many of them choose to return again and again, and providing excellence in hospitality is a core value of all Warwick Hotels and Resorts. For Warwick Fiji, this comes as a double celebration as two of its restaurants are ranked among the top eateries in Fiji. Japanese restaurant Sazanami and fine dining seafood restaurant Wicked Walu are currently ranked 1st and 2nd in the country on TripAdvisor, respectively. “We are thrilled with this recognition, which demonstrates their commitment to service excellence,” Mr Bathke added.